Not freestanding. Requires Pedestal/Keyboard Tray sold and shipped separately—ORDER BOTH. Use with Single Pedestal Desk to create an "L" workstation. 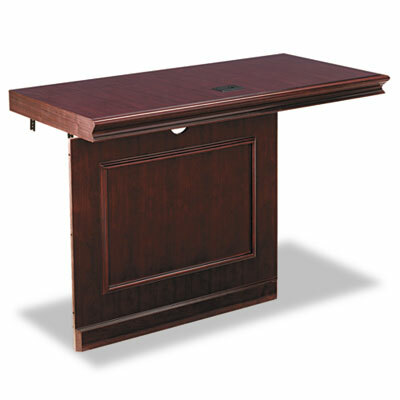 Use with Single Pedestal Desk to create an "L" workstation. Selected wood veneers with triple-coat lacquer finish. Not freestanding. Requires Pedestal/Keyboard Tray sold and shipped separately—ORDER BOTH. Disclaimer Statement(s) Not freestanding. Requires Pedestal/Keyboard Tray sold and shipped separately—ORDER BOTH.